New Unruly research reinforces the global imperative for advertisers to embrace GDPR to build trust with consumers. On May 25, 2018, the long-awaited General Data Protection Regulation (GDPR) finally took effect. Months of press speculation and doomsday prophecies (sort of) came to an end, and soon we will know for certain which panjandrums were right and wrong; will the industry come to a screeching halt via "data-geddon" or will it be business as usual? It's still too early to know for certain, but the first few weeks appear to have passed without anyone hitting the panic button. GDPR has been an inconvenient blessing for the industry, a necessary cleansing of the system to bring some long-needed clarity and structure to what over time had become an opaque cyber slum of unknown and unrecognizable data practices. The system was in dire need of an enema, a purge of all the bad behavior that had built up over time. Consumers tend to agree, not just in Europe, but around the world. Unruly recently conducted a GDPR Consumer Trust Survey. What is clear from the results is that people care about how brands use their data. 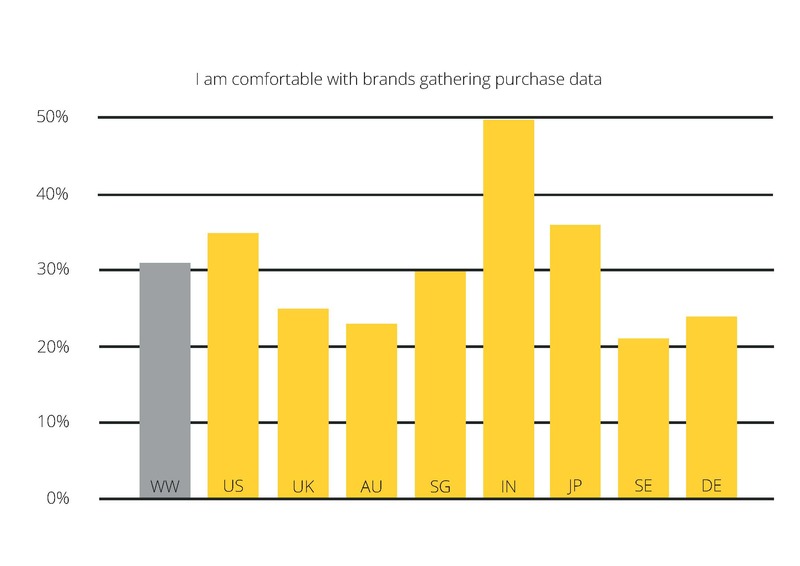 Across the 4,000 people we surveyed in eight markets (UK, US, Germany, Sweden, Australia, Japan, Singapore, and India), 63% of consumers worldwide said they would trust brands more if they were clear about how and where their data was being used. Unsurprisingly social media was singled out as a major area of concern; the post-Cambridge Analytica chaos and fake news frenzy have led to a large trust gap around social media advertising. Sixty percent of people worldwide believe that more than half the news they read on social media is fake - this number is highest in Australia where it rises to 68%. Forty-three percent of people worldwide are saying their trust in advertising on social media has dropped in the last few months. This figure was highest in the UK where 51% of people reported a significant drop in trust. As for GDPR itself, it seems the widespread news coverage of a relatively abstract acronym has made an impression on the majority of people, at least in Europe; 58% of people in the UK and Germany have heard of GDPR, 63% in Sweden. That number drops precipitously outside of Europe, in countries like Japan and Australia only around 20% of all consumers have heard of GDPR. Awareness in the US is slightly higher at 26%. However - and this is worth noting for those global companies grappling with GDPR - 93% of consumers in non-EU countries would like at least one of the rules brought about by GDPR to be in effect in their country. In effect, good data practices are good data practices everywhere, and national borders shouldn't hinder these protocols. Which leads us to a simple conclusion: advertisers need to embrace GDPR, even if means endless meetings disentangling the messy semantics over controllers and processors, opening your checkbook to pay for GDPR lawyers and consultants, and delving into and re-engineering the mind-numbing world of data management practices. It's all worth it because at the end of the day the future of your business is about building trust with consumers; 75% of US consumers only buy from brands if they trust them, a percentage that is fairly consistent globally. In fact, most of the local market fluctuations dial up the importance of trust: 89% of Indian consumers only purchase from brands if they are trusted. GDPR is the opportunity for the industry to regain that consumer trust by purging our system of data impurities. It’s a long-needed data enema. And if enemas were good enough for King Louis XIV of France, who apparently received over 2,000 during his lifetime, it should be good enough for the digital ad industry. Let’s just hope we only need one. Norm Johnston is the CEO of Unruly. The views and opinions expressed in this article are those of the author and do not necessarily reflect those of CDOTrends.